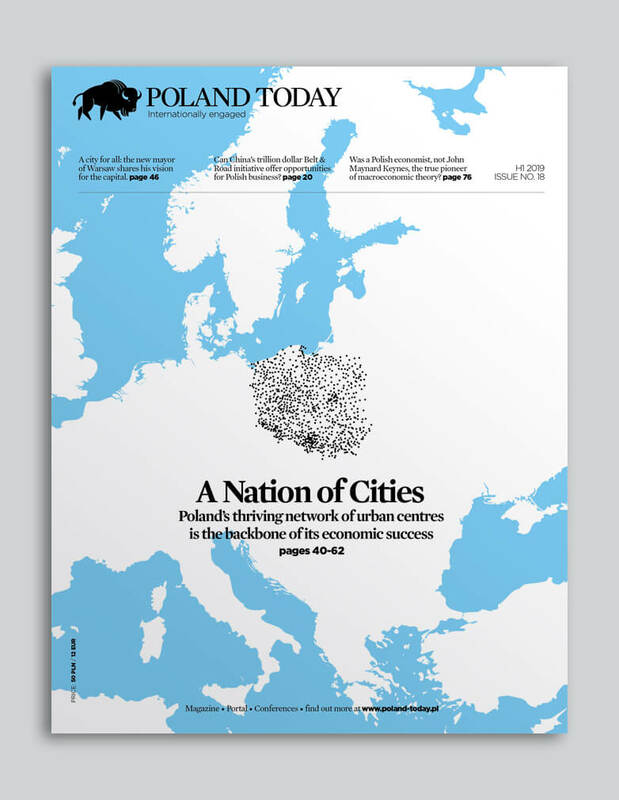 Public takeovers and attempts to void privatisations are hitting Poland’s image abroad and putting some investors in ‘wait and see’ mode, says Wawrzyniec Smoczyński, managing director of Polityka Insight. Are investors worried about Poland? They are surprised and confused. Surprised by the sudden change from a liberal, pro-market government to a conservative, state-oriented one. Many investors who have assets in Poland come to Warsaw to see things for themselves and once they do, they get confused. Things on the ground don’t look as dramatic as reported in the international media, but even in Warsaw you get two narratives: the decision makers will tell you everything is fine, the business community says it isn’t. So in the end many investors come to us for some cool-headed analysis. And what do you tell them? That Poland is in flux. Law and Justice (PiS), the ruling party, has launched a wholesale transformation of the country, including the economy, administration, court system, education and many other areas. We are seeing an attempt at exchanging elites not just in politics but in the civil service, among lawyers and journalists. This is accompanied by a highly charged domestic debate, an ongoing conflict with the European Commission and sometimes uninviting comments toward foreign investors. In economic policy we see a paradigm shift away from classic neoliberalism toward modern statism. PiS is convinced the state should play a major role in the economy. The transformation comes with a raft of new laws and regulations which are not easy to follow. We are telling foreign clients that Poland is still a great place to invest but that they need to account for political risk. This means keeping track of political developments and anticipating their potential impact. So is Poland becoming a second Hungary? PiS is definitely borrowing policies from Victor Orban’s handbook. The bank asset tax, the retail tax, the takeover of public media or what is happening to the Constitutional Tribunal– all look similar to what Mr. Orban did a few years back in Hungary. PiS leader Jarosław Kaczyński meets with him regularly and they are forging, at least in public, a political alliance against Brussels, its institutions, immigration policy and what they both perceive as German hegemony in the EU. But I would be cautious with simple analogies that Poland will go Hungary’s way. The policies introduced are the same. But the conditions are different. Mr. Orban rose to power in times of recession, PiS took over a booming economy. This means Mr. Kaczyński stands to lose much more if his policies backfire on growth. Second, some of those measures, like the retail tax, have been stifled by the European Commission in the case of Hungary, and PiS has a more restricted path in terms of what is permissible under EU law. Thirdly, Poland is a bigger economy and a more important political player than Hungary. PiS has been spending a lot of political capital in recent months, but Poland’s reputation is not an unlimited resource. For all their national pride Poles – including those voting for the ruling party – are attached to their country’s positive image abroad. Rising high. The Law and Justice (PiS) party came to power in the October 2015 general election by winning 37.58 percent of the ballot. That gave PiS 234 seats in the parliament. It means that the government run by Beata Szydło has a parliamentary support from 50.8% of all MPs. 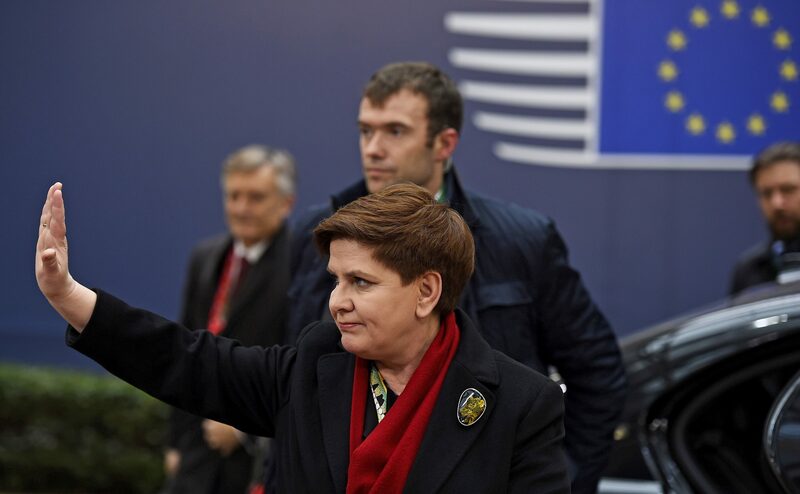 So how will Polish politics develop in the coming months? The political debate will remain charged and policymaking will be volatile. The parliamentary investigation into the Amber Gold financial pyramid will implicate leading PO politicians with former PM Donald Tusk possibly called to testify. We might see Warsaw mayor Hanna Gronkiewicz-Waltz dismissed in a referendum, and early mayoral elections called in the capital. In December 2016 a new president of the Constitutional Tribunal is to be chosen which will reignite the crisis around the court. And there is a lot of talk about ongoing investigations into supposed irregularities at state-owned enterprises under the previous government – opposition politicians fear such inquiries will be used to eliminate them from politics. On the policy front the PiS government has been hyperactive in the first six months pushing through new laws, imposing taxes and reshuffling boards at state-owned enterprises. But the pace of change, at least in areas related to the economy, is bound to slow down. First, ministers are having a reality-check as to the complexity of writing new laws – work on the retail tax has been very protracted. Second, party politics starts to weigh down policy-making. With a weak PM, tensions had to emerge within the Cabinet over eco-nomic policy and PiS factions are fighting for influence at state-owned firms. Will Deputy PM and Development Minister Mateusz Morawiecki gain more influence? Morawiecki is key to the government’s credibility with the financial markets and foreign investors. He is also trusted by the PiS leader for his economic expertise – for Mr. Kaczyński economics is secondary to politics and he clearly delegates economic planning to Mr. Morawiecki. But his position in politics depends ultimately on tangible effects of his plan – if he is able to deliver new jobs, new factories and prospects for additional growth and budget revenue, he will gain. On the other hand, if the economic climate deteriorates before Mr. Morawiecki can show results, the blame might be put on him for not delivering, rather than on PiS for overspending on electoral promises. Is PiS after foreign capital? We are asked this frequently and my answer is “no”. There is no intention to chase away foreign investment but there is a concerted effort to change the playing field for foreign capital. Banking, retail, energy and media were singled out as those sectors where PiS, for different reasons, wants to see more domestic or even state capital– at the expense of foreign investors. In banking, Alior has offered to buy Raiffeisen Polbank and PZU might take over Bank Pekao. In the energy sector, EDF assets will probably be taken over by state utilities. Public takeovers and attempts to void privatisations – like in the case of PKP Energetyka – are hurting Poland’s image on the markets, inviting speculation on the złoty currency and bonds, and putting some investors in “wait and see” mode. But setting aside strategic sectors, highly regulated ones and those with a significant state-owned player, investing in Poland is still very secure and to some extent more attractive than before. Mr. Morawiecki wants to attract capital that fosters innovation and includes production capacities in Poland. So your outlook is positive? Our baseline is that 2017 will be a risky year. Domestic politics will become more belligerent and the economy will face headwinds. Poland is at the height of the business cycle which means the economy has to slow down. Spending of EU funds is stalled, and we will probably see reduced foreign investment in 2017. If budget revenue will not grow as expected, the government might be tempted to introduce additional sectoral taxes. But my biggest concern are external shocks – a financial crisis in Italy spilling over the Eurozone or a security situation in the East. Each would be difficult to manage for Poland given a limited fiscal room and a government alienated in the international community. Wawrzyniec Smoczyński is the founder and managing director of Polityka Insight which delivers economic and political analysis on Poland to corporates, embassies and international organisations. A former foreign affairs journalist, Smoczyński is well-networked across Warsaw and EU capitals.